Dirt Connections constructs and maintain pipelines in areas throughout Virginia, Maryland, and Washington, DC. Our experienced staff of Fairfax, VA contractors have installed thousands of miles in pipes in some of the most rugged terrain while still meeting a strict level of quality. Our modern pipeline construction techniques keep us at the forefront of the pipeline construction field. 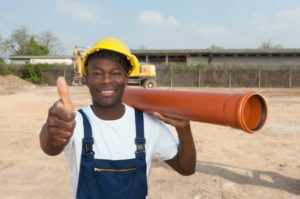 At Dirt Connections, we offer a wide selection of pipeline contractor services. Debris left over after a job has to go somewhere. At Dirt Connections, we have access to permitted disposal sites where we transport leftover waste and debris after a project is complete. Our hauling professionals follow strict recycling and waste management guidelines and use only permitted disposal sites. Dirt Connections offers on site crushing and screening services for customers who seek a cost-effective recycling solution on their project site. We offer a variety of crushers, for primary, secondary, fine, and tertiary grinding applications. We also offer a wide range of vibrating screens including horizontal, inclined, and multi-slope to accommodate various applications. Save money by eliminating disposal costs and the fees associated with transporting materials to landfills or disposal sites. Stormwater management services consist of both structural and engineering controls to store or treat stormwater and the various components that go with it, such as the control of flooding and erosion. Activities in urban areas can contaminate this runoff with pollutants like grease, oil, pesticides, and sediment. In time, stormwater runoff can enter surface waters or make their way through constructed or natural channel systems. Dirt Connections is equipped to make sure that you comply with local standards in regards to stormwater management. At Dirt Connections in Annandale, VA, we offer comprehensive material import and export services. The transportation of construction equipment, materials, and machinery can be costly and complex, creating an unnecessary dent in your project budget. Our import and export services help streamline the process. Proctor Compaction Testing is used to determine soil compaction properties, specifically the optimal water content at which soil can reach its optimal dry density. During the test, the soil is air dried and separated into samples. Water is added to each sample to adjust the water content before being placed in a Proctor compaction mold in three layers. Dirt Connections possesses the test materials necessary to undergo the Proctor Compaction Test. Pipeline construction works similar to moving assembly lines. These large projects are often broken up into manageable lengths known as “spreads.” Each spread is composed of crews which each have their own responsibilities. To assist our crews we have several late model dump trucks and the construction equipment needed to get the job done quickly and efficiently. Our experienced pipeline contractors are trained to use these construction vehicles and equipment to meet all safety protocols. Dirt Connection’s extensive equipment and truck fleet makes it possible for our team of Fairfax, VA contractors to quickly and efficiently meet our customer’s needs. Our fleet consists of hundreds of pieces of heavy equipment and maintained trucks used to accommodate work on all lengths of pipeline. Our detailed preventive maintenance program is in place to ensure that all vehicles and equipment are kept in excellent working order. This helps to enhance fuel efficiency and eliminate downtime on site. We aim to maintain a working relationship with the Environmental Protection Agency (EPA) to ensure that all requirements are met before finalizing a project. 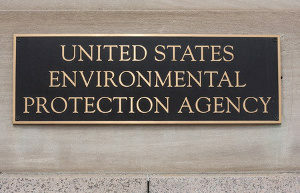 An EPA site inspector will determine if the project site meets all environmental standards and may look at various complications, such as stormwater runoff. This service is in place to ensure that we do our part to protect local water resources from the harmful effects of sediment. When engineering controls alone cannot eliminate safety hazards, appropriate personal safety equipment is assigned to drivers. Equipment such as hearing protection, eye and face protection, head protection, respiratory protection, and hand and foot protection may be necessary to reduce the risk of injury or impairment. Work zones require slower speeds for the safety of workers and nearby drivers and residents. Dirt Connections follows strict protocols to meet on site speed limit compliance. Our Fairfax, VA contractors are trained to comply with all on site speed limits to maintain a high level of safety throughout each project. For each project we take on, we assign a Project Coordinator. This individual is responsible for supporting project teams in the planning, execution, and completion of specific projects in accordance with company commitments and goals. The project coordinator understands the full scope and expectations of assigned projects and the responsibilities that accompany them. This individual also develops and maintains detailed project schedules. Our assigned Project Coordinator is an essential component of our contractor services and helps in various aspects to help projects run more smoothly. Daily load tickets are used to record detailed information on each job. This paramount information is kept secured in a database where it can be easily found if needed. Our experienced drivers are responsible for maintaining and organizing daily load tickets and these tickets are regularly checked for compliance. Dirt Connections is a leading pipeline contractor providing services across Virginia, Maryland, and Washington DC. With more than 30 years of experience, our team of Fairfax, VA contractors has the skill, knowledge, and training needed to successfully complete your project. As a full service pipeline provider, we cover all aspects of construction, including pipeline installation, maintenance, and fabrication. We aim to conduct our work as safely as possible while making environmental sensitivity a priority. While our methods and techniques have changed over the years, our commitment to exceeding each client’s expectations has not. For more information or for a free estimate, call us today at 703-940-9949.